When in Alabama Hills, most people shoot Mobius Arch but we decided we wanted to mix it up and shoot the Eye of Alabama. 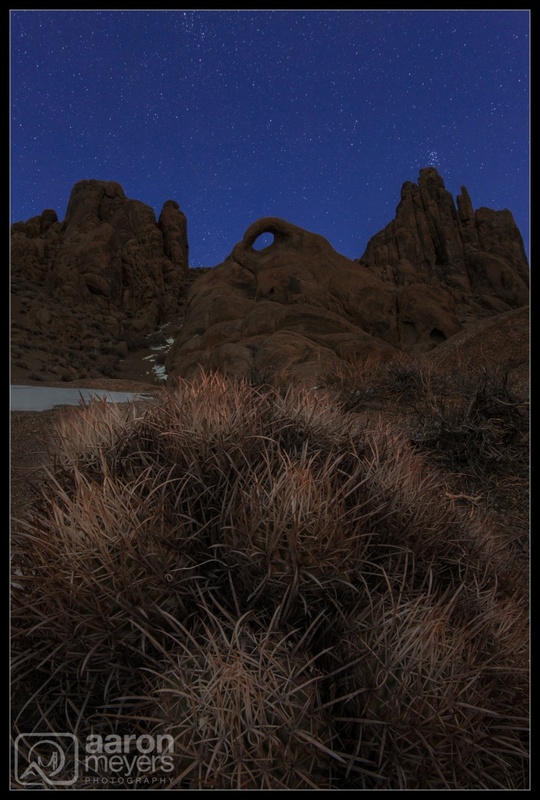 A small barrel cactus lives at the bottom of the eye and we used that as a foreground element. There were no clouds in sight and it was quickly decided that the beautiful blue hour color in the sky as the sun fades and the stars come out would add the perfect blue color to contrast with the red rock and cactus.